More information than you probably want to know. Our culture seems to think that artist's creations define the artist as a person. Not totally. Creating is something we do, but it is not who we are. However, our creations do define what we feel, what we see, and bring to life what we imagine. When people view my artwork, they sometimes ask things like "Who is that?" or "What is that?" or "What does it mean?". Most of the time there is no 'who' or 'what'. Art is simply a vehicle to non-verbally communicate things like: "This is what I think 'cool' or 'beauty' looks like". Or "This is what I think 'danger' or 'love' or 'hilarious' feels like to me". Why write a novel when I can express emotional depth toward virtually any subject and deliver it to you instantly in one piece of artwork? Music can be the same. We use music in our voices to communicate the depth of our feelings. Otherwise we would speak in one tone like 50's robots. But we don't. We raise and sharpen our voices when angry. We lower the volume and speak in loving whispers when we want to communicate care and tenderness. In the same way, when writing music, we support the lyrics with emotional 'music' that punctuates the message we are trying to communicate. In execution, creativity is much like the task of rearranging furniture. We focus on a concept, explore different arrangement possibilities, execute our best choice, and walk away. As it would be absurd to feel a sense of superiority over rearranging your furniture, it is equally ridiculous to feel that way because you have simply created something. Creating should bring a sense of satisfaction, not superiority. Those who wrap their identities on their creations are usually intolerably arrogant. One thing that is fairly common among us creatives is our desire to share our creations with others. It's kind of like a child showing you colorful crayon scribbles on paper. It's a way of asking "Do you see me? Does the world affect you visually as deeply as it does me?". These are a few of the reasons this website exists. I didn't really know I had any artistic talent until my 3rd grade teacher, Mrs. Norris, told me that I drew great dinosaurs. Well, that was all it took. Suddenly I had an identity and I was off and running. Throughout my school days, I was known as Marty the artist. Kids would flock around me to see the latest creature, superhero or overly-endowed lady. In middle-school, my parents generously enrolled me in a correspondence art course. 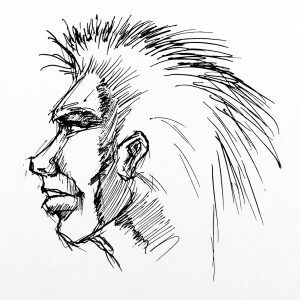 I was tutored by artists who were well known in that day and age. My parents were not rich and I was blessed to have the opportunity. Through those courses, I was able to grasp some of the fundimentals of design, perspective, shading and color. In High school, my art teachers pushed me to create a portfolio to present to the Fort Wayne Art Institute (an Indiana art school who had a scholarship program). I was awarded the scholarship, but never used it. I chose instead to stay put and work at a local sign company. There I learned to use automotive paint and painted my first mural on a van. At that time, Elkhart Indiana started a new industry in producing custom vans. I was in the right place at the right time. 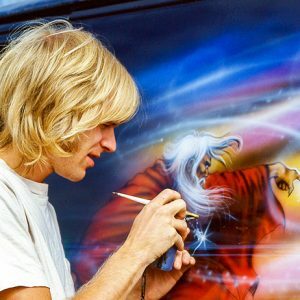 I painted hundreds of vans for a company called Van Conversions By Gerring for a few years and then launched my own custom painting company called Rapture Studios. In the 80's the personal computer was born and I became an Apple Macintosh junkie. My airbrush was replaced by a mouse and computer as I learned new graphic design skills. In 2004 I started a digital media company called MasterMedia Productions. I don't labor under the delusion that I was, am (or ever will be) some sort of Christian rock star. This site does not exist to promote that absurd notion. When God created me, he deposited just a tiny bit of his creativity in my genes. One of the supreme fulfillments in my life has been 'mining' the vein of that deposit. As it pertains to songwriting, I chose to create music with the intent of glorifying my Creator. This site exists as a sonic gallery to showcase my attempts at that end. I grew up in the 60's listening to the Beatles, Rolling Stones, Hendrix, etc. 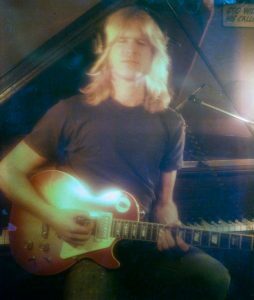 I loved guitar blues licks and began emulating them on my moms piano. It became the first instrument I learned to play. Being an energetic child, I was drawn to the energy, beat and noise a drum kit could offer. My parents bought me a Ludwig kit and paid for drum lessons. I quickly learned that there was no drum music for this new 60's era of rock and roll. The drum teacher taught me rock beats without music That was a better way for me to learn anyway. The 70's ushered in a spiritual awakening within me. I began attending a non-denominational church full of young hippies where acoustic guitar was the instrument of choice. I purchased a guitar, my good friend Kevin Hamby taught me some basic chords and I was full-bore into callous digitalis. 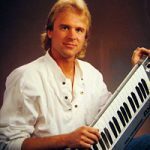 Later in the 70's I was drawn to the unique sound and power of electronic synthesizers. I bought one and began to teach myself to program and produce my own custom sounds. Along the way I was drawn to recording gear. I purchased a 4 track reel-to-reel, a cheesy mixing console and some mics. The limitations of these tools became quickly apparent so I purchased an eight track recorder and a better console. Of course, 8 tracks just didn't cut it so I sold everything I owned and purchased a 16 track multitrack recorder (the size of a washing machine) and a giant 110 lb. 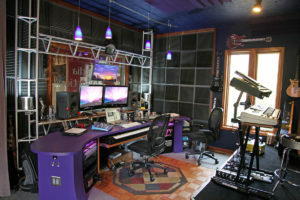 mixing console. I began recording my own albums and recorded music for some locals bands. In 1976, Apple Computer sold the first personal computer. Synth manufacturers were creating keyboards which interfaced to the computer. This enabled keyboards to perform some incredibly powerful (for the time) functions. At the time, Apple was the only game in town if you wanted a computer which interfaced to your keyboards. In 1984 the Kurzweil 250 keyboard was created by Kurzweil Music. 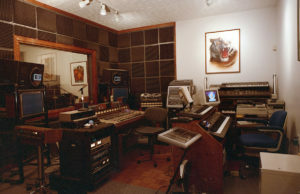 The marriage of Apples Macintosh computers and Kurzweil's keyboard technologies enabled me to create libraries of samples instrument sounds which Kurzweil, and later Sweetwater Sound, purchased from me. The new technologies became tools which enabled me to enhance the tunes which were, at times, pouring out of me like a river. Today everything is digital, sonically superior and very powerful compared to the early days of the digital revelution. 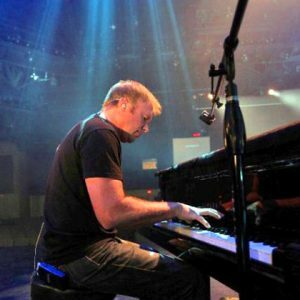 Along the way I never stopped creating music and playing or leading worship at churches. I have been blessed to be able to play music in church settings (in front of thousands of people) for almost 4 decades. 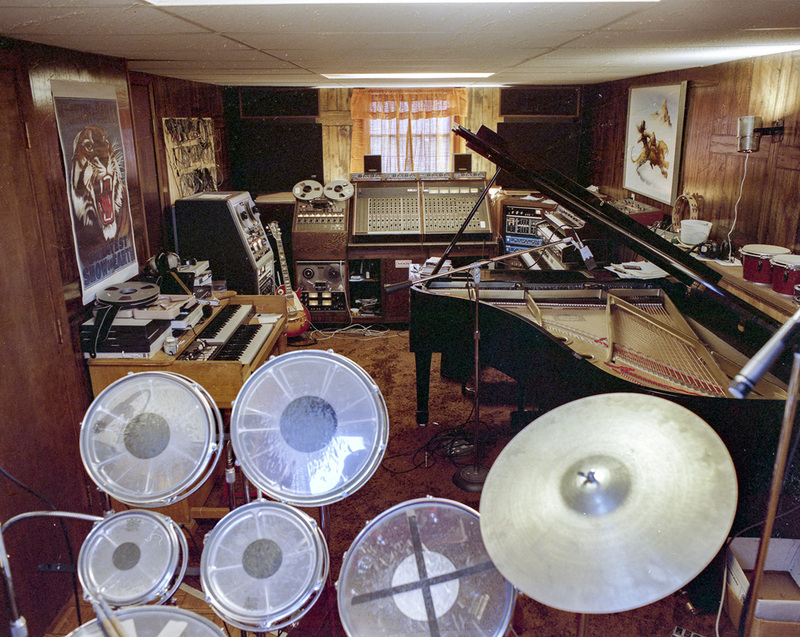 This is a collection my home recording studios from the 80's on. 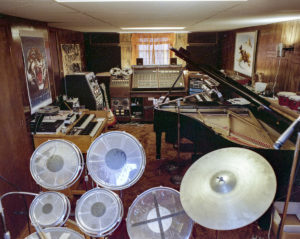 My home recording studio circa 1983. My dedicated home recording studio circa 1990. 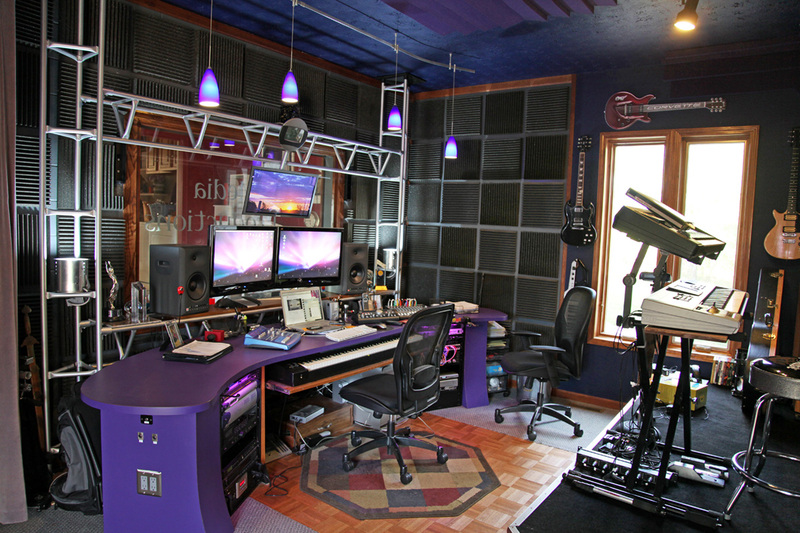 My dedicated home recording studio circa 2013.